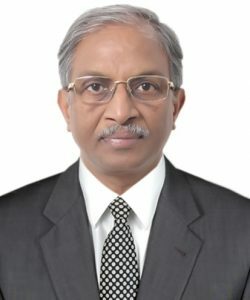 Mechanical Engineering at IIT Madras » Dr. Ramesh Babu, N.
Dr. Ramesh Babu received his PhD from IIT Madras in the year 1990 (Investigations on laser dressing of grinding wheels). His research interest includes Manufacturing Technology, Grinding, Abrasive Waterjet Machining, Sheet metal fabrication, Laser Beam Machining, CNC, PLCs & Robotics, Precision Machine Tool development, Process modeling and Simulation of manufacturing systems. His publications includes 61 International Journal Papers and 104 National/International Conference Papers. Life member, American Society of Mechanical Engineers (ASME). Member, Society of Manufacturing Engineers (SME), USA. Life Member, Indian Institution of Plant Engineers. Member, Water Jet Technology Association, USA. Member, Fluid Power Society of India (Chennai Chapter). Visiting Fellow (2017 – 2019) TEES#, Texas A & M, USA. *TEES# – Texas A & M Engineering Experiment Station, Texas A & M University, USA. V Balaraman Institute Chair Professor ( April, 2006), IIT Madras, India. Fellow of AP Academi of Sciences (2016) AP Academi of Sciences, Andhra Pradesh, India. Honorary Member (2012) The Romanian Society of Mechanical Engineers. Invited to deliver a key note talk on “Indian Economy and the role of IITs in socio-economic development of India” AMADA INNOVATION FAIR 2012, GLOBAL EVENT – June 1st 2012 at AMADA Head-quarters, Isehara City, Japan. Member, Board of Governors, Andhra University College of Engineering, Visakhapatnam, A.P. (2010 – 2012). Invited talk on “German Cooperation in Technical Education and Research and Efforts on Sustainable Manufacturing” at Indo – German Innovation Platform organized by Fraunhofer Association and German Embassy, India in Pune on March 12 & 13, 2010. Invited by Secretary General, CIRP to deliver a talk on “Activities on Precision Engineering at IIT Madras” at CIRP January Meetings held in Paris during January 20-23, 2010. Invited by Secretary General, CIRP to attend CIRP General Assembly in Pisa, Italy during August 22-28, 2010. Invited to deliver a talk on “Unconventional Machining – Water Jet Technology” at Yeungnam University, Korea on November 24, 2009. Invited for R & D Kick off meeting by AMADA Co. Ltd. Japan to their plants in Japan during December 17-21, 2007. Member, International Advisory Board, International Journal on Manufacturing Technology and Research. IIM Binani Gold Medal for the Best paper published in Transactions of Indian Institute of Metals, Aug.- Oct. 2012. Best paper award with a cash prize of Rs. 10,000 for the best paper in the area of A.Ramesh Babu and N. Ramesh Babu on Nesting of irregular parts in irregular sheets using genetic algorithms presented at the 18th AIMTDR Conference held at IIT Kharagpur, 1998. Best paper award with a cash prize of Rs. 5,000/- for the best paper in the area of CAD/CAM – K.K. George and N. Ramesh Babu, ‘Modified algorithm for the generation of cutter path for 3D sculptured surface machining’ awarded by 15th AIMTDR Conference, PSG College of Technology, Coimbatore, December, 1992. Development of a portable diagnostic tool (B Tech Project, 2012) – eventually developed as “Grind Trak” for monitoring of grinding machine tool performance by Micromatic Grinding Technologies Ltd. Dobaspet, Karnataka (2012-2014): For more details, visit the website: http://www.mbrijbhushan.com/projects/industry/grind-trak/. Development of a framework and testing protocols for analyzing the static, dynamic and thermal behavior and testing the performance of cylindrical grinding machine tool as a part of project sponsored by the Office of the Principal Scientific Advisor to Govt. of India in collaboration with Industrial partner: M/s. Micromatic Grinding Technologies Ltd. (Ace Micromatic Group), Dobaspet, Karnataka – This has resulted in transforming the existing cylindrical grinder (SH-63) into the Next Generation Precision Grinder (2012 -2016). Software tool for automatic conversion of Raster and Vector data into clear views for Amadasoft India Pvt. Ltd. Chennai (2005). Nesting Kernel Development for Amadasoft India Pvt. Ltd. Chennai comprises of a suite of algorithms for faster nesting of different shapes of parts in different shaped sheets with efficient utilization of sheet material (2011). AS / RS – Software for Automated Storage and Retrieval System, BHEL Corporate R & D, Hyderabad under RBIC Project (1992). Srikanth, R and Ramesh Babu, N. (2017): Boundary condition for deformation wear mode material removal in abrasive waterjet milling: Theoretical and experimental analyses, Proc. of IMechE Part B: Journal of Engineering Manufacture, DoI: 10.1177/0954405417718594 (IF: 1.366). Radhakrishnan, P., Vijayaraghavan, L. and Ramesh Babu, N. (2017): Assessment of Material Removal Capability with Vibration-assisted Wire Electrical Discharge Machining, Journal of Manufacturing Processes, 26, pp.323-329. (IF: 2.322). Rambabu, S. and Ramesh Babu, N., (2017): Mechanical and tribological properties of ice-bonded abrasive polishing tools, Proceedings of IMechE Part B: Journal of Engineering Manufacture, DoI: 10.1177/0954405417708221. (IF: 1.366). Rambabu, S. and Ramesh Babu, N., (2017): Empirical approach to develop a multilayer ice bonded abrasive polishing tool for ultrafine finishing of Ti-6Al-4V alloy, Materials and Manufacturing Processes, DoI: 10.1080/10426914.2017.1303149. (IF: 2.274). Umamaheswari, M., Ramesh Babu, N. and Vijayaraghavan, L. (2017): Time dependent behavior of alumina grains manufactured by two different routes while grinding of AISI 52100 steels, Archives of Civil and Mechanical Engineering, 17(2), pp. 400–409. (IF: 2.216). Madopothula, U., Ramesh Babu, N., and Lakshmanan, V.: Assessment of white layer in hardened AISI 52100 steel and its prediction using grinding power, Accepted for publication in Machining Science and Technology – An International Journal. (IF: 1.053). Singh, N. P., Srinivasu, D. S., and Ramesh Babu, N. (2016): Modeling of Kerf Profile Generated in Multi-Layered Laminate Composites with Abrasive Waterjet, Materials Science Forum, Trans Tech Publications, 874, pp. 219-224. (IF: 0.41). R Vairamuthu, Vijaya Raghavendhra, B. and Ramesh Babu, N. (2016): Kinematical design of a precision cylindrical grinder with volumetric error modelling and sensitivity analysis, International Journal of Precision Technology, 6 (3/4), pp. 193-215. (IF: 0.44). Radhakrishnan, P., Vijayaraghavan, L. and Ramesh Babu, N. (2015): Experimental study on material removal capability with Vibration-assisted WEDM, Journal of Applied Mechanics and Materials, 768, pp. 362-366. (IF: 0.16). Chiddarwar, S. S. and Ramesh Babu, N., (2013): Investigation of trigonometric spline and quintic b-spline for optimal trajectory planning of robot used for pick and place operation, International Journal of Advanced Robotic Systems: Robot Motion. (IF: 0.987). Vimal Nandhan R K and Ramesh Babu, N., (2013): Understanding of logic in ladder program with its transformation into sequential graph using state space based approach, International Journal of Mechatronics and Manufacturing Systems, 6(2), pp.159 –182. (IF: 1.00). Rajasekhar A and Ramesh Babu, N. (2013): A semi-discrete geometric representation for nesting problems, International Journal of Production Research, 51(14), pp. 4155 – 4174. (IF: 2.325). Mohan R and Ramesh Babu, N., (2012): Ultra-fine finishing of metallic surfaces with ice bonded abrasive polishing process, Materials and Manufacturing Processes, 27, pp.1-8. (IF: 2.274). Srinivas, S and Ramesh Babu, N. (2012): Penetration ability of abrasive waterjets in cutting of aluminium-silicon carbide particulate metal matrix composites, International Journal of Machining Science and Technology, 16(3), pp.337-354. (IF: 1.053). Shital S Chiddarwar and Ramesh Babu, N. (2012): Optimal trajectory planning for industrial robot along a specified path with payload constraint using trigonometric splines, International Journal of Automation and Control, 66, pp.39-65. (IF: 0.91). Ramesh Babu, A and Ramesh Babu, N. (2012): Effective nesting of complex two-dimensional shapes: Genetic and Heuristic approaches, LAP Lambert Academic Publishing. Siva Saravanan K, Rajasekhar A and Ramesh Babu, N. (2012): An efficient collision avoidance and neighborhood search algorithm for nesting of two dimensional parts in two dimensional sheets, Journal of Advanced Manufacturing Systems, 11(1), pp.1-15. (IF: 0.27).